How to install and use Piezography ink on the Epson P800. 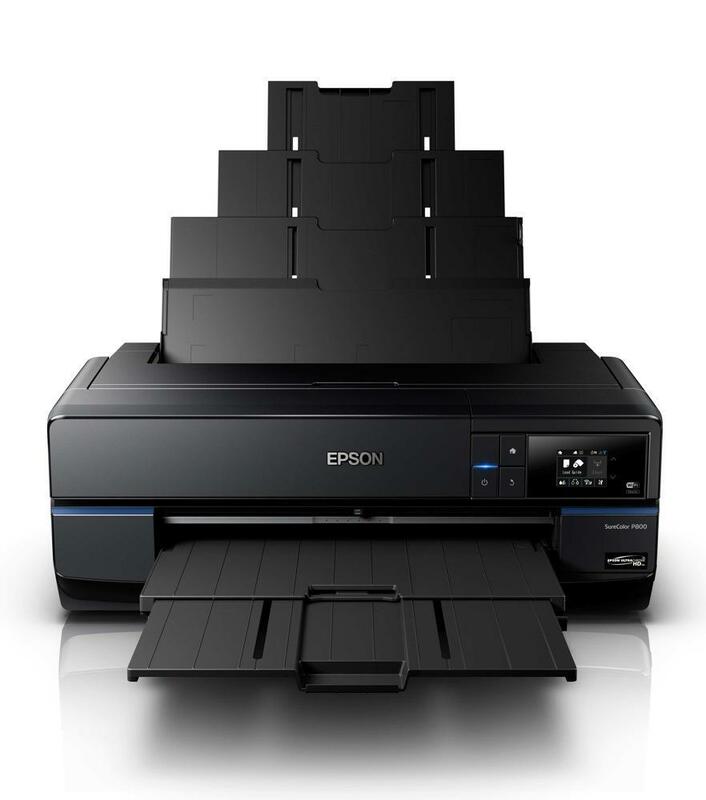 Open the cartridge bay door, remove Epson cartridge(s) and install refillable cart(s) into printer (please refer to the refillable carts instructions for the correct way to fill and prime), then close the cartridge bay door. The printer should now pressurize carts. When it stops, the green power light should be on and “ready” displayed on the printer LCD panel. Perform 3 Powerful Clean Cycles after installing carts to purge color ink and get Piezography ink from carts to the print head. Print a nozzle check to make sure all positions are fully printing, then print a test gradient and examine it for color staining. Yellow, which is the worst for color staining, will show up in the highlights. If color staining is present, do another Power Clean Cycle or a few regular cleaning cycles. Follow this by printing another gradient to make sure color is gone before printing images. Epson SureColor P800. This is one of the best handling paper printers ever. Seems to just load everything without a complaint. We have run thousands of sheets through this model printer without head failure or damper failure (a problem of it’s previous generation the 3800/3880 models). In general we think this is one of the best printers in the 17″ class. * Change black ink for matte or gloss printing.